Cute and I love the aqua color and flowing draped material- however it seems a tad too long; I should have ordered the 15 inch drop , I would order it again.. Dress up your bed with the coastal look of the Laguna Skirt. 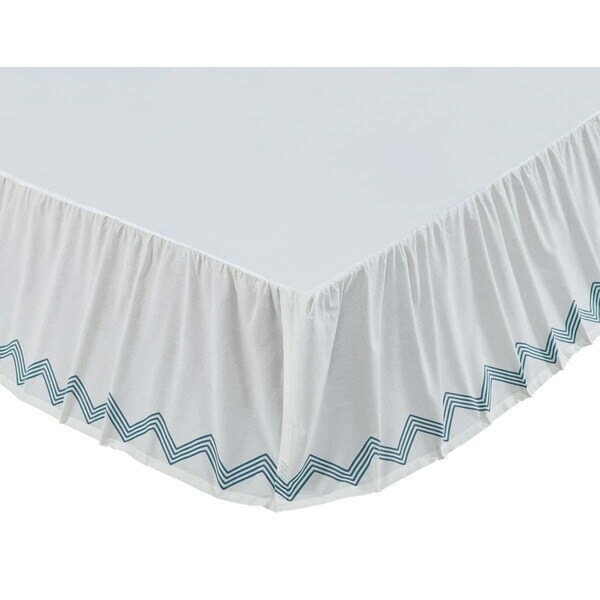 Gathered ruffle with chevron bands of turquoise green on marshmallow white cotton cambric. Split corners and 16-inch drop fit any style bed frame. I really like this buy. Its fits the bed really good and looks great. It was as described on the description page. I would recommend this to anyone looking for an item like this. This is the first bed skirt that I own that fits the bed perfectly.